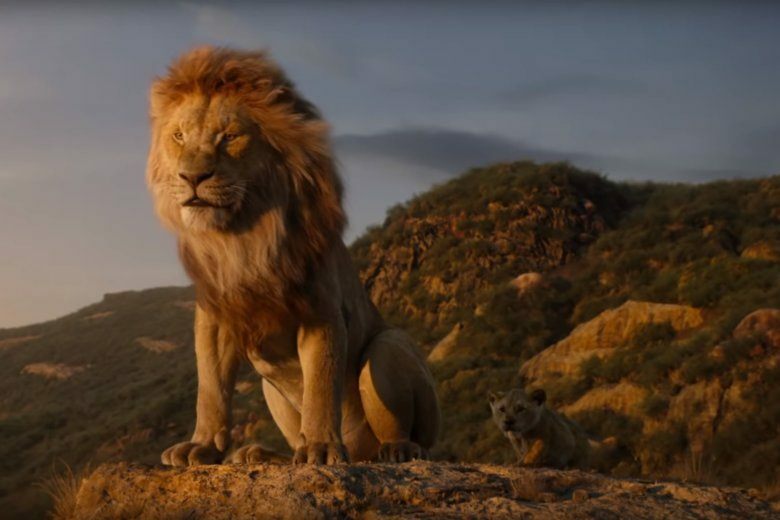 After the release of the stunning new “Lion King” trailer, WTOP’s Jason Fraley predicts the movie will mark the high point of Disney’s live-action remake model. In theaters July 19. When Disney first announced annual live-action remakes of animated classics, I was skeptical. After all, why touch already perfect movies that we adored at our most impressionable age? Most remakes face understandable backlash from diehard fans shouting, “How dare they reboot it!” However, Disney shrewdly gets around this conundrum by remaking these tales in a different medium. Rather than remaking a live-action film with another live-action film or remaking a cartoon with more hand-drawn animation, it’s a big enough artistic shift that audiences feel they’re getting new bang for their buck. This held true for films that cast live-action actors like Angelina Jolie as “Maleficent” (2014), Lily James as “Cinderella” (2015) or even a child-actor as Mowgli amid the digital animals of “The Jungle Book” (2016). But when “The Lion King” was first announced, many critics wondered: how can you justify calling it a “live-action remake” when the film lacks human characters? The answer: it’s actually a state-of-the-art blend of computer-generated imagery (CGI) and motion-capture technology, which Andy Serkis pioneered as Gollum in “The Lord of the Rings” (2001-2003) and perfected in the stunning prequel trilogy of “Planet of the Apes” (2011-2017). In “The Lion King” trailer, the wildlife graphics look incredibly lifelike, rivaling the photorealism of a Disneynature documentary under the proven hand of “Jungle Book” director Jon Favreau. Voicing animals also allows audiences of all backgrounds to see themselves in the characters without fundamentally changing the original look that occurs in live-action recasting. This could bolster the box office with the same on-screen representation of “Black Panther” (2018). The cast is impressively diverse. Childish Gambino himself Donald Glover (“Atlanta”) will voice Simba, Beyoncé (“Dreamgirls”) will voice his love interest Nala, Billy Eichner (“Billy on the Street”) teams with Seth Rogen (“Knocked Up”) to voice the comic sidekicks Timon & Pumbaa, Keegan-Michael Key (“Key & Peele”) will voice hyena Kamari, Alfre Woodard (“Cross Creek”) will voice motherly Sarabi and John Oliver (“The Daily Show”) will voice birdbrain chaperone Zazu. If the graphics and voice casting aren’t enough to hook you, the trailer also revives Hans Zimmer’s epic score which, in my book, remains the most underrated score of the ’90s. When ranking Zimmer’s career, critics often cite “Gladiator” (2000), “Inception” (2010) and “Dunkirk” (2017), but “The Lion King” remains the only of his 11 Oscar nods to bring home the gold. Disney finally went all in on the musical concept with “Beauty and the Beast,” allowing Emma Thompson to sing Angela Lansbury’s title song, but blatantly auto-tuning Emma Watson’s Belle to the point of annoyance. Here’s hoping the “Lion King” voices are allowed to shine. It’s been a bumpy road perfecting the live-action family formula. Early experiments failed as Glenn Close’s “101 Dalmatians” (1996) earned a Rotten Tomatoes rating of 39% by critics and 40% by audiences, while Johnny Depp’s “Alice in Wonderland” (2010) rated 51% by critics and 55% by audiences. Even a pair of non-Disney adaptations of “Snow White” flopped as Julia Roberts’ “Mirror Mirror” (2012) rated 50% by critics and 45% by audiences, while Kristen Stewart’s “Snow White & the Huntsman” (2012) rated 49% by critics and 52% by audiences. The company began turning the corner with Angelina Jolie in “Maleficent” (2014), approved by 70% of audiences but still mixed with just 54% of critics. The big breakthrough came when Kenneth Branagh’s “Cinderella” (2015) wowed 84% of critics and 78% audiences. Both princess tales were Top 10 grossers, raking in $758 million and $543 million worldwide, respectively. This was followed by back-to-back billion-dollar grossers with Jon Favreau’s “The Jungle Book” (2016) — heralded by 95% of critics and 86% of audiences — and Bill Condon’s “Beauty and the Beast” (2017) — adored by 71% of critics and 80% of audiences. Both did huge business, as “The Jungle Book” grossed $967 million worldwide (No. 5 domestically) and “Beauty and the Beast” grossed $1.3 billion globally (No. 2 domestically behind only “Star Wars: The Last Jedi”). The acclaim continued for Marc Forster’s “Christopher Robin” (2018) by 72% of critics and 84% audiences, though box office somehow slipped to $198 million globally (No. 35 domestically). Even so, it was enough for Disney to ramp up production for three 2019 releases: “Dumbo,” “Aladdin” and “The Lion King.” Personally, I feel that’s over-saturation, diluting the marketing buzz, causing some moviegoers to hold off seeing one in anticipation for the others, and causing critics to overly sharpen their knives knowing redemption is just a few weeks away. l hope Disney goes back to just one release a year. After rushing “Dumbo” into a dark Tim Burton debacle (47% critics, 58% audiences), I’m holding out higher hopes for Will Smith in Guy Ritchie’s “Aladdin” (May 24), which should have been the big buzzed-about remake of 2020. Either way, “The Lion King” (July 19) will be the top-grossing of the three, perhaps rivaling the box office of “Avengers: Endgame” (April 27) and “Star Wars: Episode IX” (Dec. 20). When the box-office receipts come in, it should finally settle the debate over the most beloved Disney movie ever, a question I’ve always answered with a resounding “Lion King.” Not only is it my personal childhood favorite, the objective data points are everywhere with a Golden Globe for Best Picture: Comedy/Musical, Shakespearean “Hamlet” themes and pop-culture impact from Elton John climbing the radio charts to the very first Disney Broadway musical. There will always be detractors. Skeptics of Disney’s commercial machine will claim it’s a ripoff of the Japanese TV series “Kimba the White Lion” (I think the differences are too drastic), while film buffs will cite the historic nature of “Snow White and the Seven Dwarfs” (AFI ranked it No. 1 as the first feature-animated film, but the heroine’s shaky voice is nails-on-the-chalkboard compared to Sir Elton, while her hope of a savior prince is an outdated “Male Gaze” artifact). A quarter century is ample enough time to claim “classic” film status. After 25 years, “The Lion King” wears the crown. So circle the calendar, sit back and watch the remake roar.